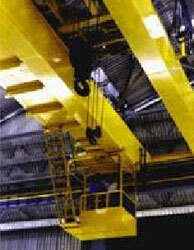 MAGCO I-BEAM CRANES that we have are durable in quality. These cranes are electrically operated and are available in capacity between 1 ton to 20 tons. Durable in construction, these cranes can function efficiently for longer hours. We can also custom manufacture these cranes in dimensions as required by the clients.